South America is known for many things, one of them being cocoa. It is chocolate's main ingredient and originates from tropical South America. Cocoa was was cultivated about 3,000 ago. The Aztecs used to process cocoa beans and extract a chocolate liquid in its pure form which was called chocolate liquor. From this liquor cocoa butter and cocoa solids are extracted. 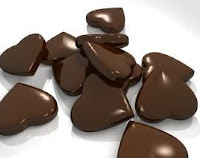 The Aztecs of Mexico named the chocolate liquor “bitter water” – xocolatl and the cocoa beans were used as currency. Chocolate became a luxury good. It was still a luxury when it reached Europe after the 16th century: only royalties and those with high connection and money could enjoy the chocolate drink. We are lucky to live different times . Nowadays everybody can buy a bar of chocolate. if you are a true chocoholic you may combine the chocolate with travelling. You can go on a chocolate cruise or take part into various chocolate festivals around the world in Canada, United States, Italy or Mexico. What is handier is to follow the chocolate path and enjoy a box of dark chocolate or very dark chocolate (the darkest of dark is 100% cocoa). They are an excellent treat or gift for chocolate aficionados.That will keep you busy until the 4th of September when it is World Chocolate Day and you can celebrate again.